Socks, laced up oxfords, neck tie properly done and blazer buttoned. 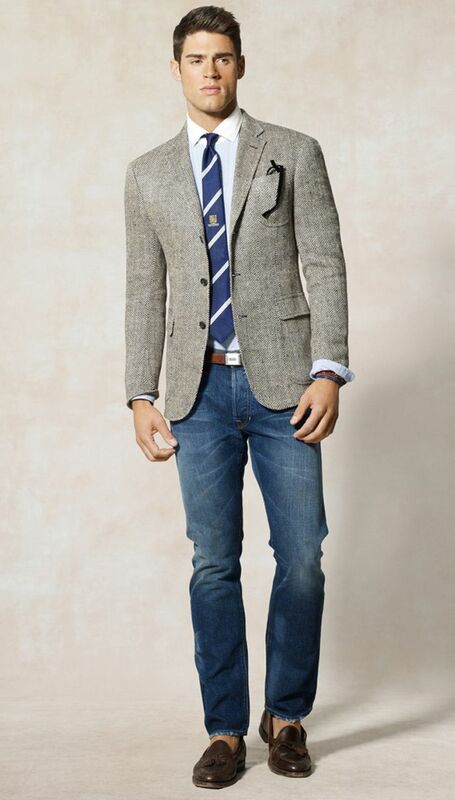 You know what makes this a “business casual” look? he turned up the cuffs of his denim jeans. Subtle but effective. 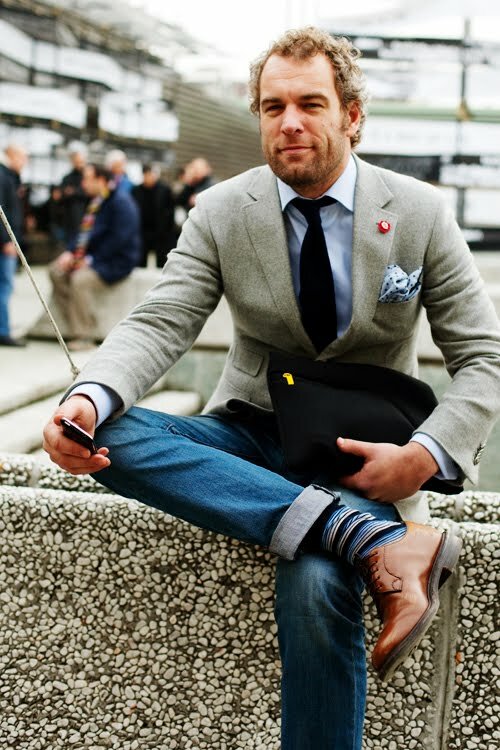 Your blazer and tie ensemble is dressed down with the strategic use of denim jeans and loafers worn sockless. 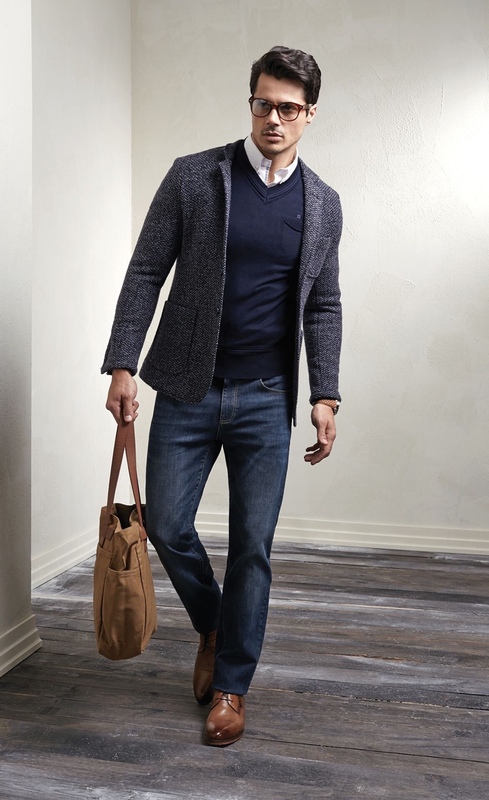 Eschew the tie but look professional with a different accessory: layered with a sweater and carrying a leather tote. Dress down your full suit with a polo shirt. It’s very Don Draper. Lighten your ensemble by breaking blue tones with a cream or white blazer. Incidentally, the perfect look for a dinner date as well, especially if you really want to stand out on your first date. You can go all out. 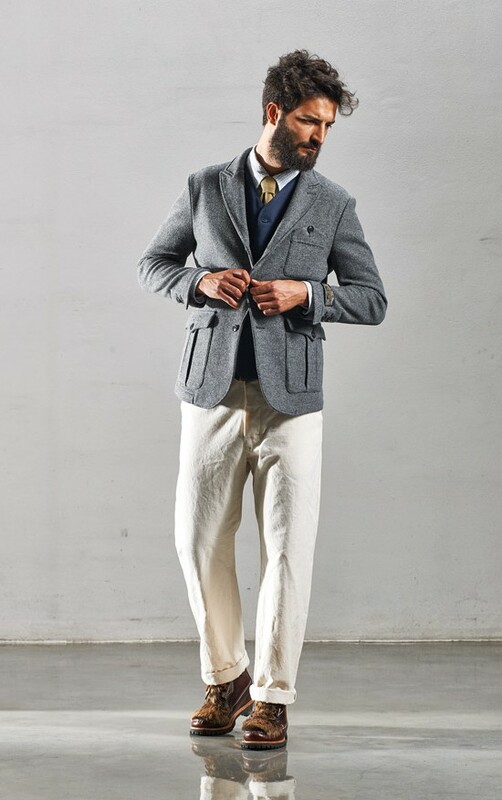 Layered cardigan, necktie, trousers and then soften the hard business look with a safari jacket and hiking boots.